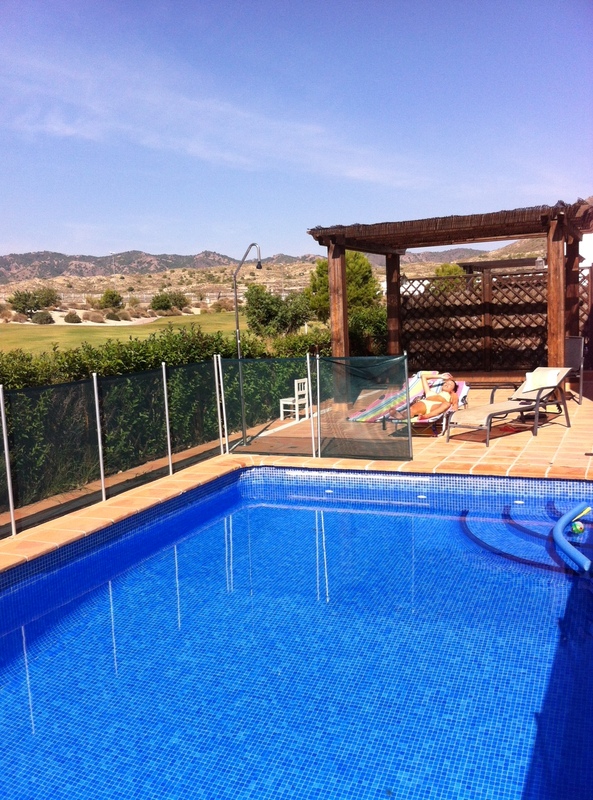 El Valle villa is a 3 bedroom villa with two bathrooms and a private swimming pool on the Polaris El Valle Golf Resort in the Costa Colida region of Spain. This villa has been listed on Holiday Tots for three years and gets regular good reviews, so I was really looking forward to visiting. 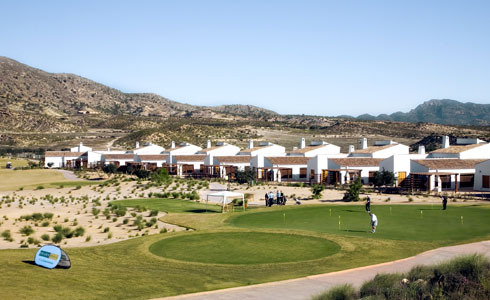 El Valle is a luxury golf resort about 20 minutes north of Murcia. 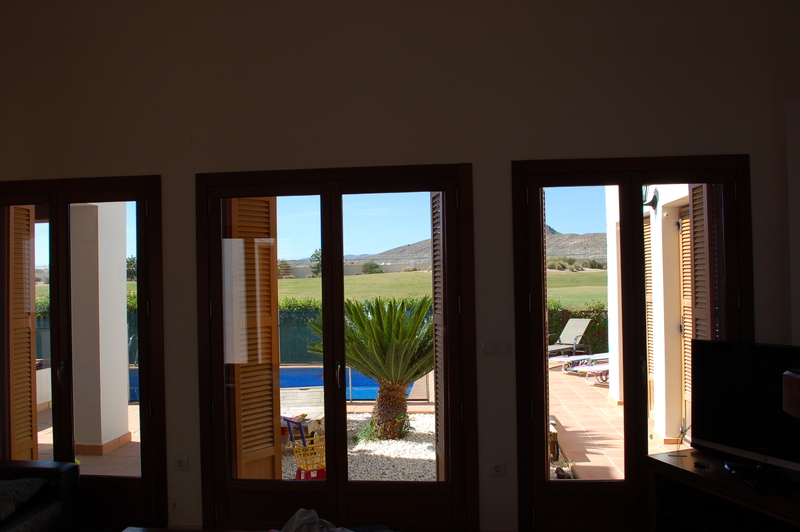 As well as a Jack Nicklaus golf course, it has a mixture of apartments and villas of varying sizes. The resort is set well back from the main highway and totally secure (with 24 hour security) so it offers families a safe and relaxing environment to holiday.. There are three community swimming pools (as well as the villa’s private pool) and a club house with restaurant, bar and supermarket. The villa is owned by an English family who have young children so everything you need for your holiday with a baby, toddler or pre-schooler is available. The owners have a holiday lettings manager who will meet you and is on call 24 hours a day should you need any help. We were a large party of 6 adults and one four year old. We had an extra bed put in the master bedroom which worked well. This bedroom also has an ensuite with bath and over bath shower, toilet, bidet and double sinks The other two bedrooms share a bathroom with toilet and shower and can be set up as double or twin with cot. The bed linen was crisp and white, something that is really important for us. The twin bedroom has a fab selection of baby and preschool toys and a wooden cot and changing mat. The open plan living dining area is well laid out with dining table, sofas, high chair, wooden toddler table and chairs, tv, dvd (selection of children’s and adults dvds) and side board with a selection of books and a few games. The double doors open onto the patio/pool area. The kitchen is separate and has oven, microwave, fridge freezer etc and has a handy door leading out to the BBQ area and outside dining table. There is also an outside room with sink and washing machine. The outside area is laid out with terracotta tiles and is fully enclosed: the swimming pool has a removable fence that we kept in place. Freddie (my 4 year old) loves running and the pool fence meant we could really relax. It has a clever design whereby you can open certain parts when using the pool. The most noticeable thing for us was the silence. The villa pool and patio area overlooks hole number five on the golf course and aside from the odd ball being hit the silence was immense! It did take us a few days to really appreciate it! The quiet residential streets are clean and safe, the nearest play park with a slide, couple of swings and see saw is just 60 seconds walk. The clubhouse is a 10 minute walk and has a bar, restaurant, lounge area, small sports clothes shop and a supermarket. We had dinner here one evening and was a little disappointed but it is a nice place to sit and have a glass of wine early evening. The nearest communal swimming pool is about a 7 minute walk. We didn’t visit until our last day but wish we had done so earlier as it was clean, spacious and great for the whole family. It provides a good alternative to the private pool at the villa, it has grassy areas outside the fencing with a few apartments as a backdrop. 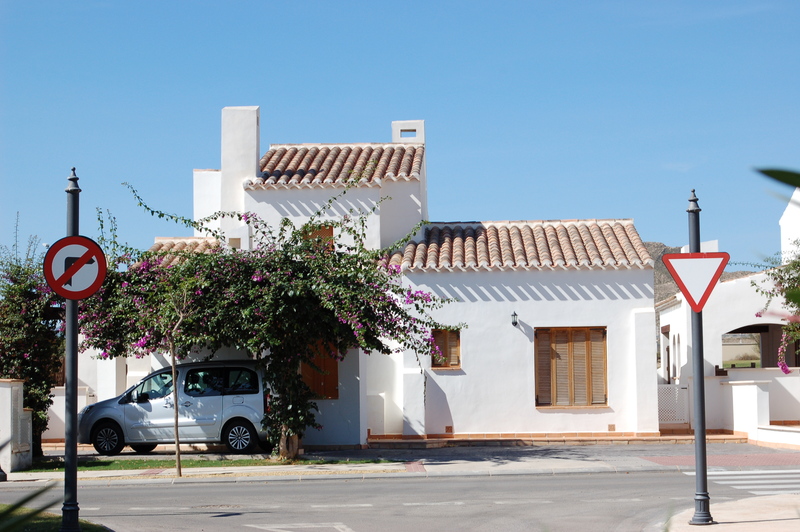 If you are looking for a comfortable safe base to explore the Murcia region and relax then you won’t get much better than this child-friendly villa. A car is definitely a must and we visited some fantastic places including a really lovely beach ideal for babies, toddlers, children and adults due to its clear warm waters and gradual beach which has no hidden drops. 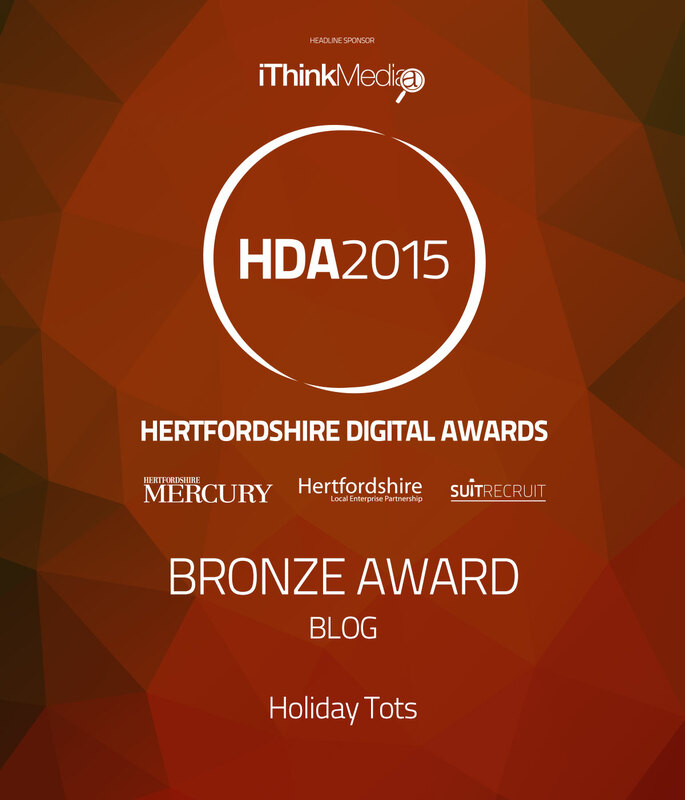 You can read about the places we found best for families on holiday on our blog.